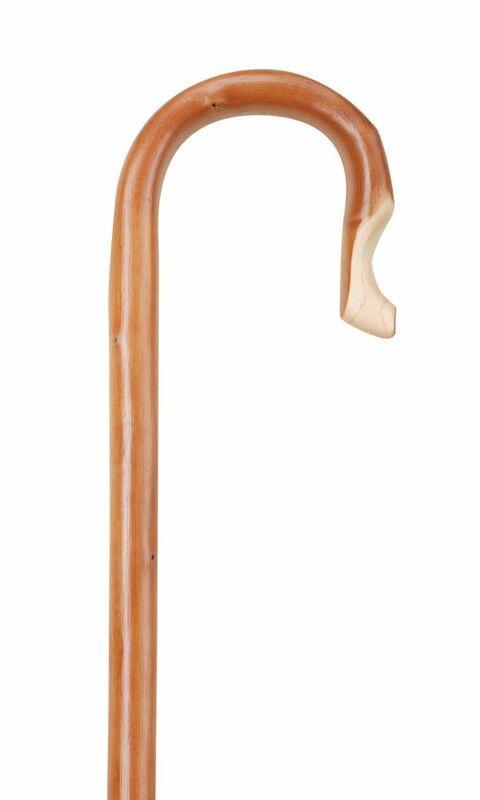 Chestnut shepherds' wooden crook with metal ferrule. These sticks are still widely used by farmers gathering stock but are equally useful as a walking aid. Height approximately 5' (152cm).